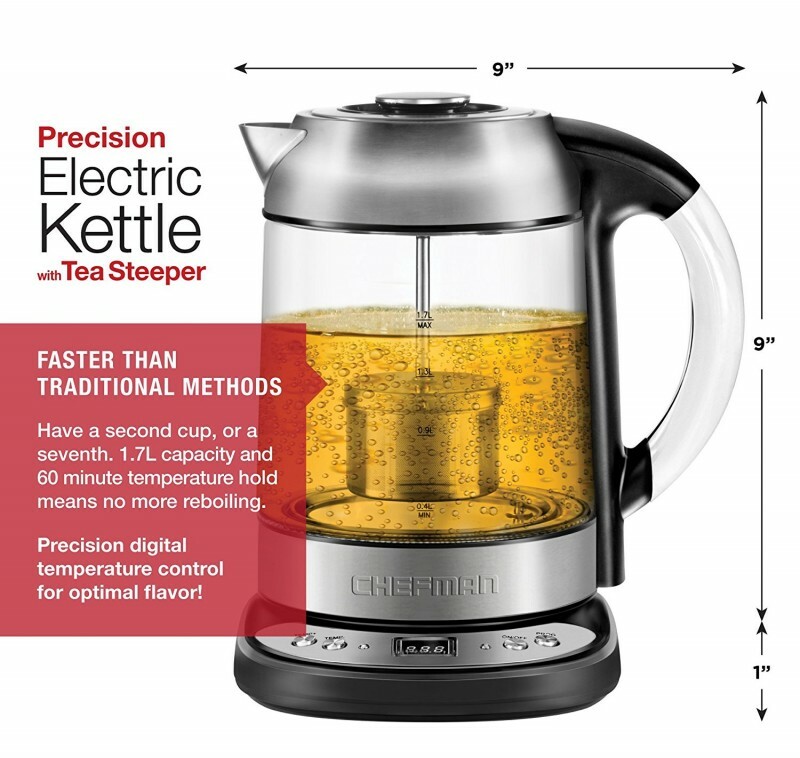 The Chefman Electric Glass Kettle is one electric glass teapot that boils water or beverages very fast and is very durable thanks to the thermal shock resistant Borosilicate glass that it is made of. 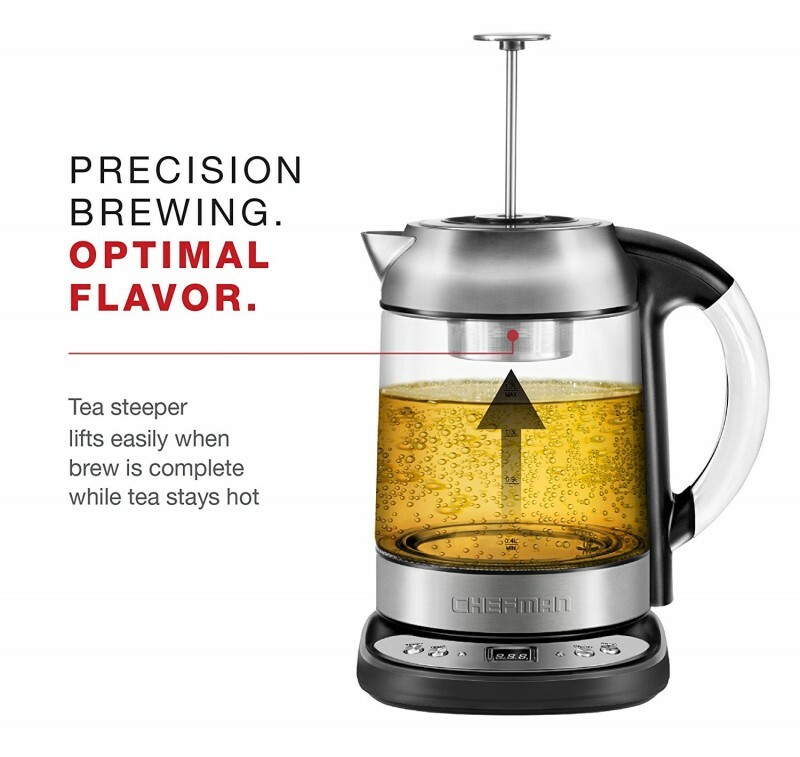 It also comes with digital temperature controls that you can adjust to get the optimal temperatures for the beverages that you are brewing. By purchasing it you will get access to club Chefman for different recipes. 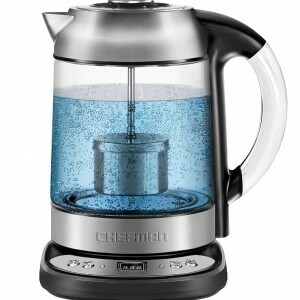 After the initial boiling, it has the capacity to keep the water or beverage warm for up to 60 minutes. 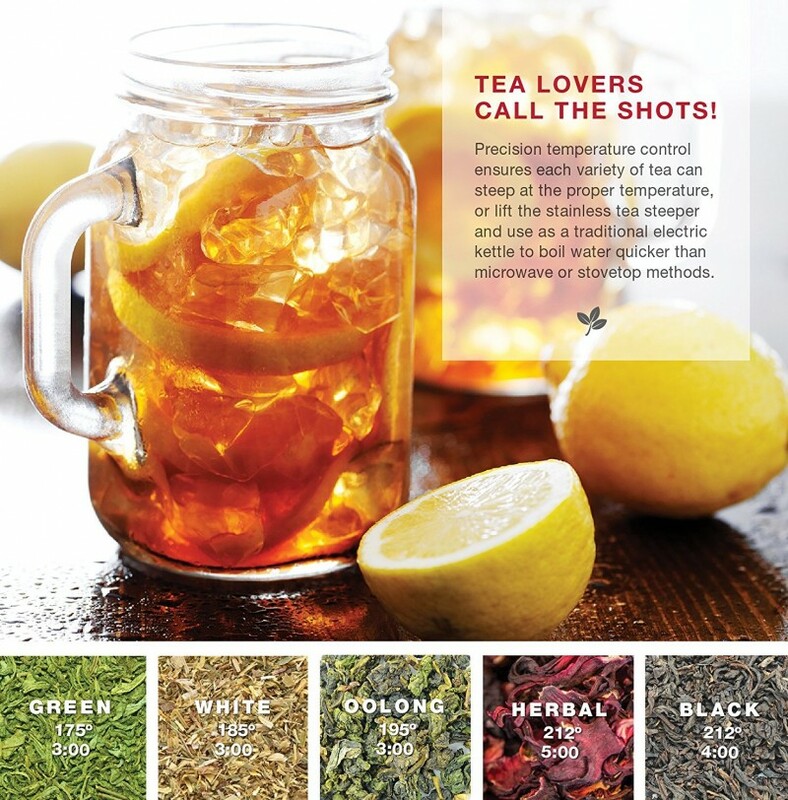 It has a wonderful design, however, the tea infuser does not detach and so can be quite difficult to clean. 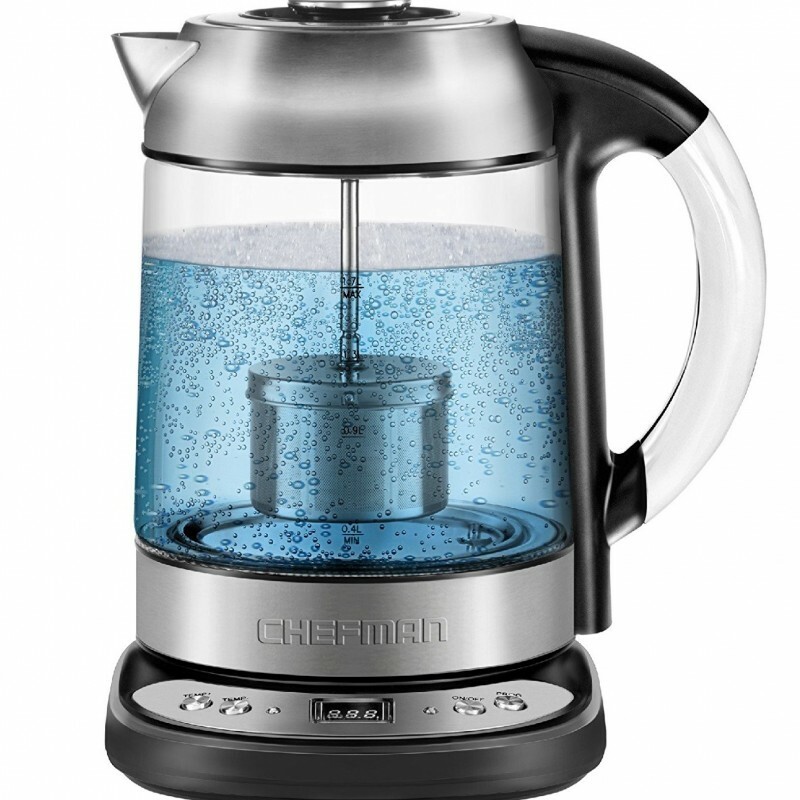 You can use it to boil a lot of water at the same time since it has large capacity. 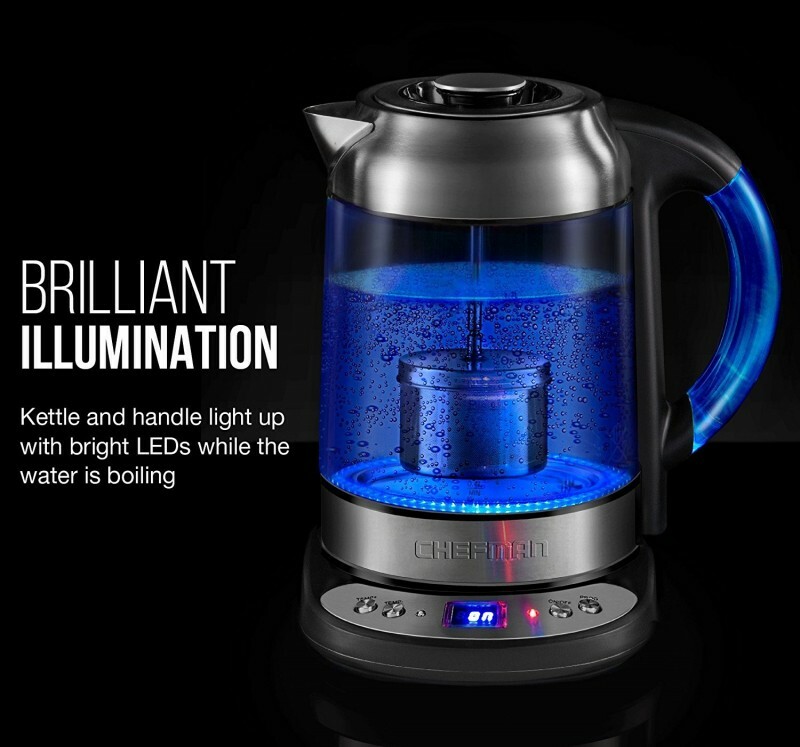 It shuts off after water hits boiling point to conserve energy. 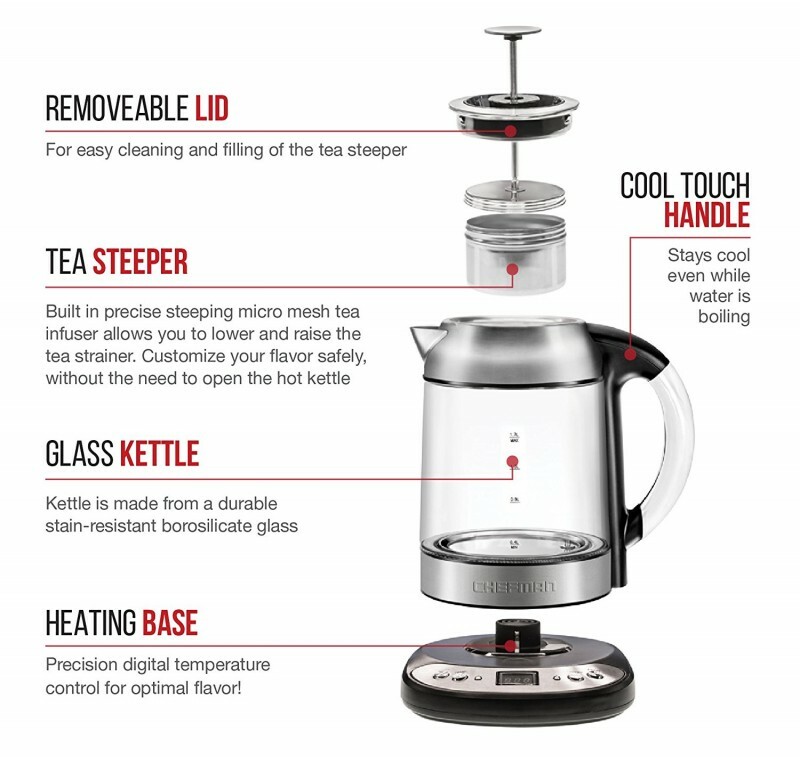 You can adjust its temperature to optimal temperatures for the different beverages that you are preparing. It is quite durable since it is made of borosilicate glass which is thermal shock resistant. 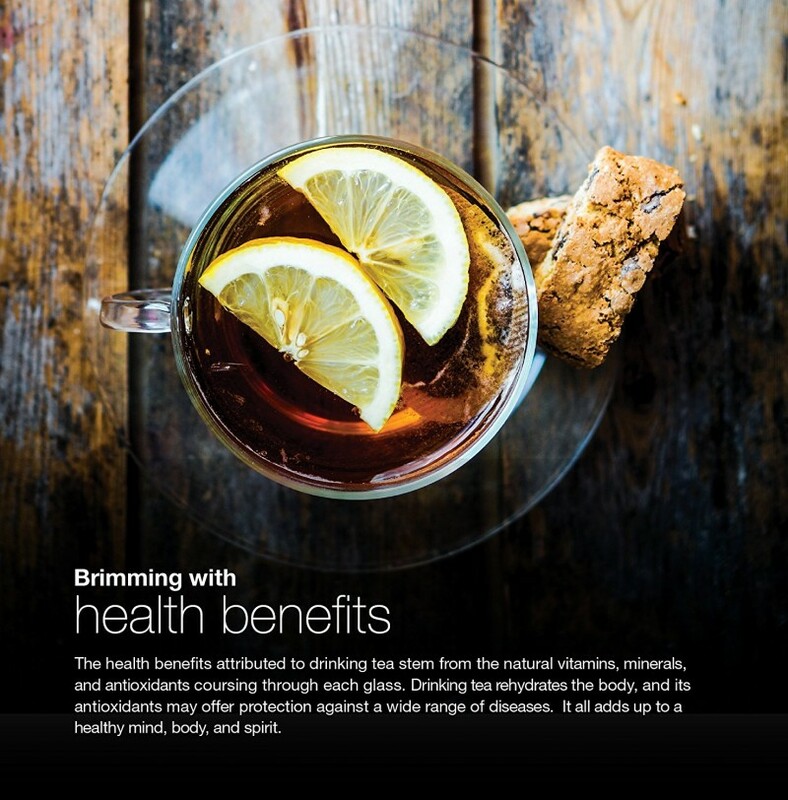 You get access to club Chefman recipes that you can use to make different beverages. 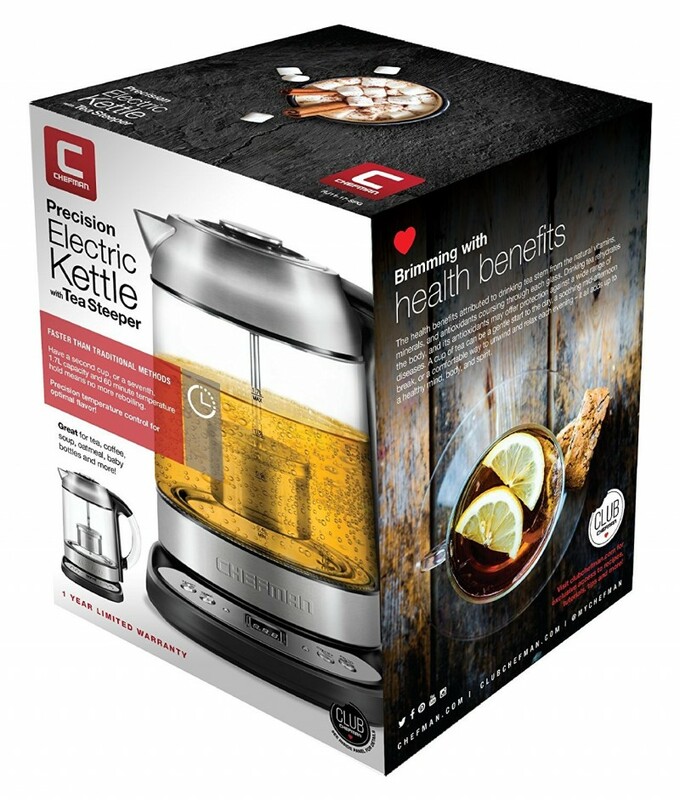 It can keep water or beverages warm for up to 60 minutes after boiling. You will have an easy time cleaning it since its parts come off easily. 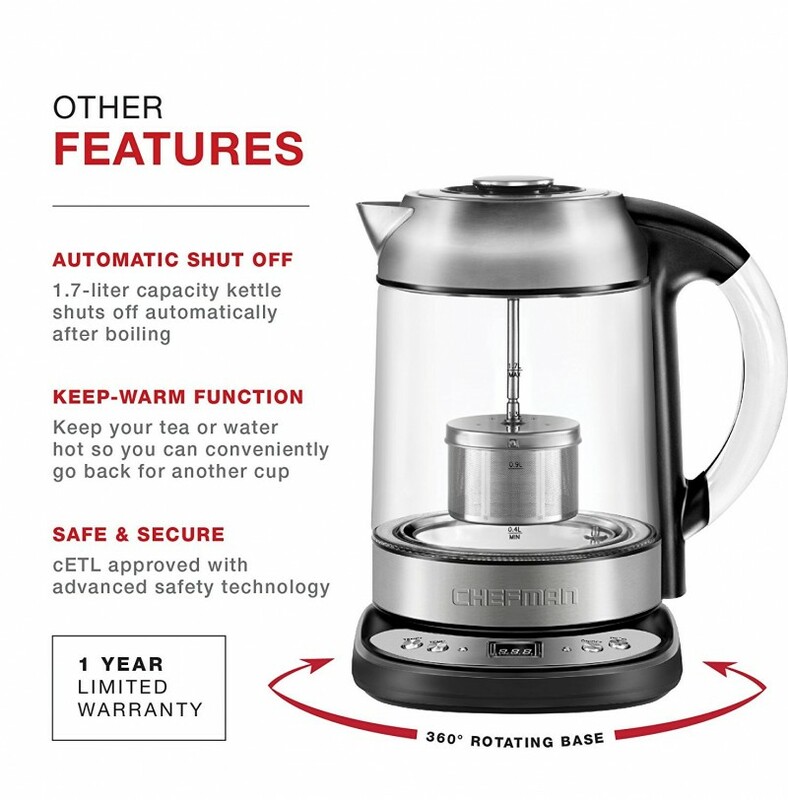 The built-in tea infuser cannot be removed for efficient cleaning.